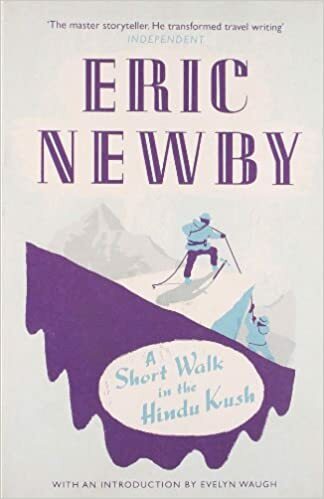 A classic of travel writing, 'A Short Walk in the Hindu Kush' is Eric Newby's iconic account of his journey through one of the most remote and beautiful wildernesses on earth. It was 1956, and Eric Newby was earning an improbable living in the chaotic family business of London haute couture. Pining for adventure, Newby sent his friend Hugh Carless the now-famous cable - CAN YOU TRAVEL NURISTAN JUNE? - setting in motion a legendary journey from Mayfair to Afghanistan, and the mountains of the Hindu Kush, north-east of Kabul. Inexperienced and ill prepared (their preparations involved nothing more than some tips from a Welsh waitress), the amateurish rogues embark on a month of adventure and hardship in one of the most beautiful wildernesses on earth - a journey that adventurers with more experience and sense may never have undertaken. With good humour, sharp wit and keen observation, the charming narrative style of 'A Short Walk in the Hindu Kush' would soon crystallise Newby's reputation as one of the greatest travel writers of all time. One of the greatest travel classics from one of Britain's best-loved travel writers, this edition includes new photographs, an epilogue from Newby's travelling companion, Hugh Carless, and a prologue from one of Newby's greatest proponents, Evelyn Waugh.